Block Cheryl (Gwyneiira's Book Blog)? This will prevent Cheryl from sending you messages, friend request or from viewing your profile. They will not be notified. Comments on discussion boards from them will be hidden by default. Her last thought was Wayne Savage’s beautiful green eyes and the way he smelled when he kissed the scar that changed so many things in her life. The scent of a man was never something Brinley would have said made her mouth water. We’d love your help. Let us know what’s wrong with this preview of Scars by Shayne McClendon.
" Hello! I've recently cleared up my workload and currently have the rest of June free. I'd like to offer up one round of edits (copy/line/content) for Hello! I've recently cleared up my workload and currently have the rest of June free. I'd like to offer up one round of edits (copy/line/content) for up to 10k words for free. My only requirements are that the book has to be a romance novel. I do not do horror or historical. Preferably a draft that is ready for edits. If you're interested, drop me a message with your book synopsis and if your draft is ready for edits. If your draft is longer than 10k, and you're satisfied with the edits I've done, I charge a basic copy editing rate of $0.50/100 words. ...more "
" Hello! I've recently cleared up my workload and currently have the rest of June free. I'd like to give away one round of edits (copy/line/content) for Hello! I've recently cleared up my workload and currently have the rest of June free. I'd like to give away one round of edits (copy/line/content) for up to 10k words. Cheryl (Gwyneiira's Book Blog) is 4% done with The Dom vs. The Virgin: I’d find little Emery Lillian Rose again. These might not be glass slippers. But this wasn’t a fairy tale. And I wasn’t a prince.
" Hello Kay! Thanks for the add. Glad to see another Singaporean romance reader around! " We’d love your help. Let us know what’s wrong with this preview of Sacked by Jen Frederick. We’d love your help. 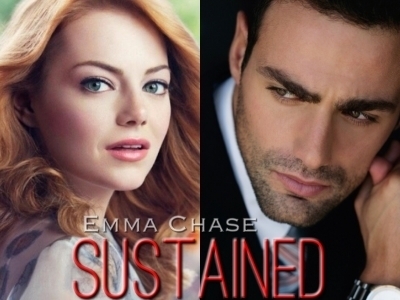 Let us know what’s wrong with this preview of Sustained by Emma Chase. Cheryl (Gwyneiira's Book Blog) read 147 books of her goal of 100! 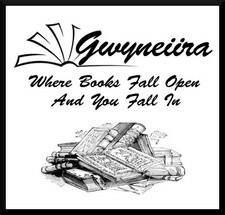 Cheryl (Gwyneiira's Book Blog) read 196 books of her goal of 150! Take a look at Cheryl’s Year in Books. The good, the bad, the long, the short—it’s all here.